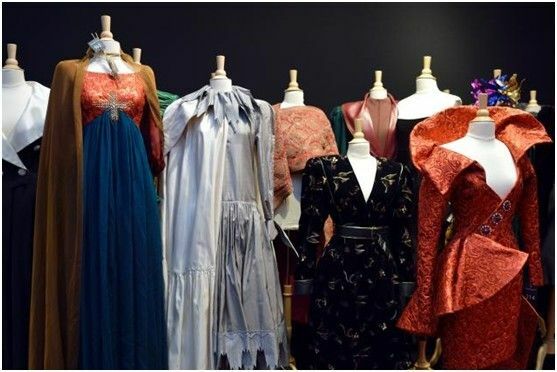 On 14th, October, 2013, one of the most important private haute couture in the last 25 years of the 20th century was sold at auction in the Drouot Hotel of Paris. Among of all the clothes, an YSL evening dress was sold at the price of 119 thousand Euros. In all there were 1200 clothes and ornament to be sold. The owner of the clothes was Danielle Luquet de Saint Germain, Yves Saint Laurent’s kept designer and Muse of design when he was alive. Brands of the clothes included Yves Saint Laurent, Claude Montana, AzzedineAlaïa, PacoRabanne, Thierry Mugler and Christian Lacroix. More than 300 items were sold at auction successfully. There was an Yves Saint Laurent long dress, with parent and black chiffon in the chest and ostrich feather in the hip. The estimated value was between 13000 to 15000 Euros. But it was sold at a price of 118750 Euros, ten times of the estimated price. The evening dress was costume made for Danielle Luquet de Saint Germain by Yves Saint Laurent in 1968. “Yves Saint Laurent made this dress on me. His inspiration came from every model. He made what the model inspired him.” explained Danielle Luquet de Saint Germain to the reporter of the Agence France Presse. She put on the evening dress and introduced it to the media, finding surprisingly that there were media from all over the world present. Danielle Luquet de Saint Germain was living in Geneva Switzerland and did not show up in the auction. “Looking my clothes going away from me one by one, I felt suffering.” said Danielle Luquet de Saint Germain. She was a model when she was 20 years old and became good friends of Yves Saint Laurent, who was a famous designer at that time, and Claude Montana. Of all the clothes being sold, some of them were given to her by the designer as a pay, some of them were the gift of her husband. “I have kept all the clothes that I think is important and leave a conference to the fashion circle. None of the clothes are out of date. They are all beautiful. But I have to part from them, for I have no energy to take care of and protect them any more.” Danielle Luquet de Saint Germain explained why she would sell them all. Danielle Luquet de Saint Germain, a long name for us, and may be quite strange for us. As a matter of fact, she was a famous model of French in the 1970s. She was also the inspiration Muse of Yves Saint Laurent. Not only Yves Saint Laurent received inspiration of design from her but many of his works were displayed by her, like the Le Smoking and the bold feather of ostrich used to decorate the see-through veil black gown. It was her who made YSL’s clothes show charming in front of us. Danielle Luquet de Saint Germain still kept a high statue in the fashion industry even she was no longer a model any more. This entry was posted in Formal Dresses on April 24, 2014 by admin.